Donald Trump wants to spur bank lending by dismantling the 2010 Dodd-Frank regulatory overhaul. That again raises the question of whether banks in the wake of the financial crisis are unable or unwilling to lend, holding back economic recovery, or if the problem is that borrowers haven’t wanted to borrow more. The president-elect said Friday in an interview with The Wall Street Journal that banks are “unable to lend” because of regulation. Lending data show the issue isn’t cut and dried. And there may be factors other than Dodd-Frank, such as bank capital requirements, at work. And banks are lending. Loans and leases in bank credit stood at $9.1 trillion as of Nov. 2, according to Federal Reserve data. That is up about 25% from early 2013, surpassing a crisis-era peak of nearly $7.3 trillion. Business-loan growth has been particularly strong. Over the past five years, so-called commercial and industrial loans measured on a monthly basis have risen at an average rate of 10.6% from a year earlier, according to Fed data. That is well above an average of 8% since 1948. Total business loans made by banks topped $2 trillion earlier this year and eclipsed their crisis-era peak in 2014, Fed data show. Such loans were equal to more than 12% of real gross domestic product in the third quarter, their highest level in at least 50 years. The latter, though, may also be because of the slow-growth economy. The current recovery, with real gross domestic product growth on an annual basis averaging around 2.2% since the recession’s end, is the most anemic recovery of the post-World War II period. Banks have said the pace of loan growth reflects that economic environment and the fact consumers and businesses emerged from the financial crisis needing to repair their balance sheets and reduce borrowings. “People are being a lot more conservative than they have been in the past,” Comerica Inc.Chief Executive Ralph Babb Jr. told analysts in October. On Dodd-Frank, many banks have had a mixed view, saying it has made the financial system safer overall although specific parts have hampered growth. Smaller banks, in particular, have complained the law has imposed onerous costs to meet new compliance requirements while also limiting the kinds of products they can offer customers. More stringent capital requirements and other legislation also have an effect. 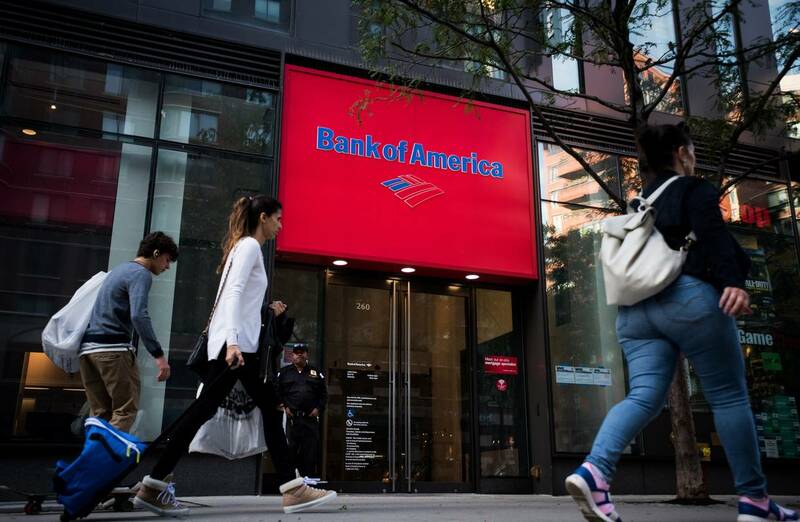 “We could lend more money if the capital levels were different,” Bank of America Corp. Chief Executive Brian Moynihan said earlier this year at a Wall Street Journal CFO Network conference. He added that annual stress tests, which were called for in Dodd-Frank, are a drag, as well. Banks and analysts acknowledge that it often is more difficult for smaller businesses or consumers without the best credit to get loans, or secure them at favorable pricing. Loans to small businesses, for example, have lagged. The percentage of business loans that are for amounts of less than $1 million has fallen. From 1995 to 2006, these averaged about 31% of all business loans in the U.S., according to Federal Deposit Insurance Corp. data. As of June, they were just 20% of total commercial and industrial loans and have been below 25% since 2011. Smaller business loans by banks stood at $312 billion at the end of June, up 10% from five years earlier, but still below the precrisis peak of $336 billion, according to the FDIC. That said, only a handful of small businesses report loan availability as a major problem. Some have turned to nonbank online lenders. A Fed survey last year found credit to be the one of the lowest-ranked concerns among small firms, with cash flow and availability of suitable employees being top worries. Another area of weakness is in commercial real estate loans, which fund building projects and development. Those have been slower to recover and only retook a crisis-era peak of around $1.73 trillion in September 2015. Yet some bankers say that more reflects capital rules imposed by the Fed and Basel requirements. Other legislation, such as new rules governing credit cards, along with the creation of the Consumer Financial Protection Bureau, also receive blame for hampering lending. In consumer lending, the issues are more pronounced. Residential mortgages contracted for around seven years and only started to show growth in 2014, according to FDIC data. What’s more, banks’ mortgage lending has focused on borrowers with the best credit scores. As part of this, banks have made a big push into so-called jumbo loans, or mortgages that in most parts of the country exceed $417,000, and which tend to go to wealthier borrowers. But legal risk is also a factor. Banks were hit with tens of billions of dollars in fines and legal settlements related to soured mortgages in recent years, along with demands from government agencies that they repurchase loans. That is why banks have pursued jumbos and are hesitant to take on borrowers at greater risk of defaulting, exiting programs such as Federal Housing Administration loans. “Currently, it simply is too costly and too risky to originate these kinds of mortgages,” J.P. Morgan Chase & Co. Chief Executive James Dimon wrote in his annual letter to shareholders earlier this year.